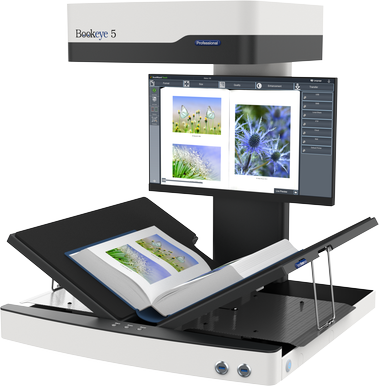 With this new member of the Bookeye family, Image Access placed an emphasis on developing a scanner which is compact, easy to operate and competitively priced; to bring high end professional scanning to an even larger population of users. 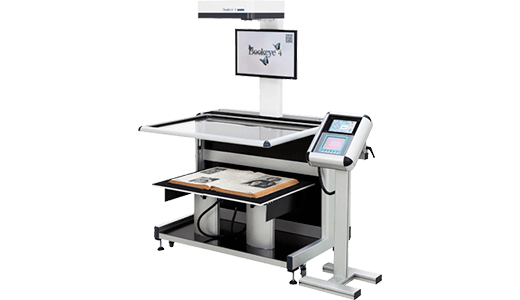 The efficient Bookeye 4 V3 digitizes source material such as bound documents at high speeds in up to 400 dpi optical resolution and formats up to DIN A3. Without being loaded with a lot of costly, unnecessary "features", the Bookeye 4 V2 is still a full-fledged book scanner or book copier, ready for use anywhere where grayscale is enough. Equipped with a standard scanning application, Bookeye 4 V2 scans documents, such as magazines, files, folders, bound documents, contracts, and accounting ledgers at a resolution of 400 dpi at high speeds. The flagship in the Bookeye 4 family of book scanners is the Bookeye 4 V1A book scanner. 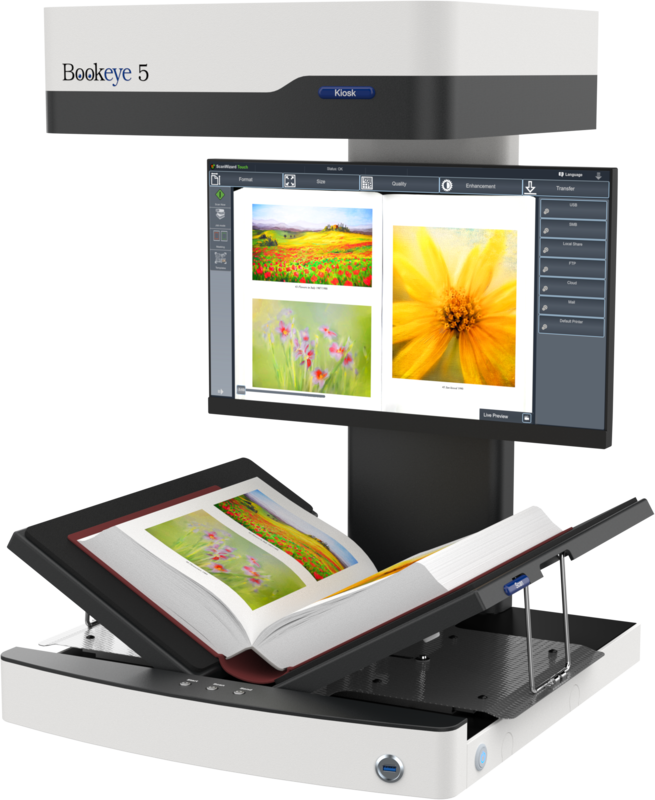 Scanning A1+ formats at 400 optical dpi, the Bookeye 4 V1A features an automatic book cradle with up to 10 cm height adjustment, a glass plate that opens automatically and of course the 140 degree V-book cradle. 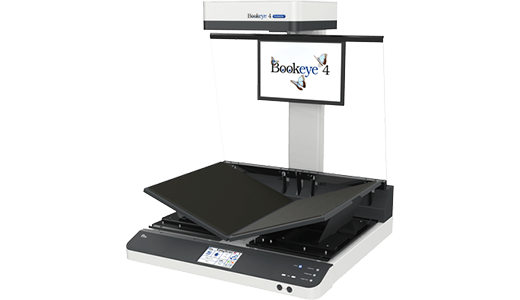 Bookeye 4 V1A is the world`s only working A1+ overhead book scanner that accommodates both flat documents - with or without the glass plate; as well as large, fragile bound documents, using the protective V cradle. Bookeye 4 V1A-C35 is the professional solution for digitization projects that require high quality images at maximum productivity, while eliminating strenuous, repetitive tasks required of an operator to get the job done.